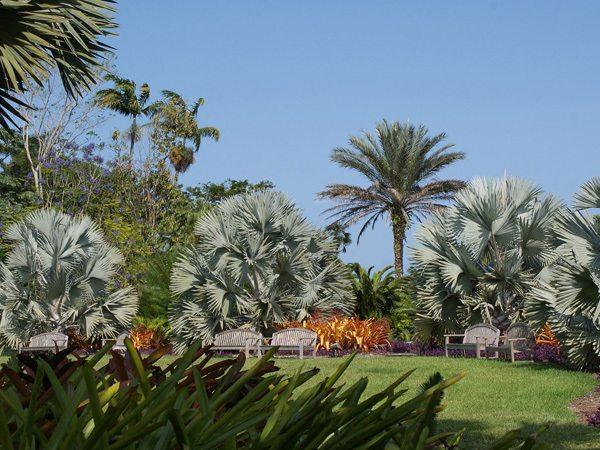 Established in 1938, this 83-acre site is an abundant collection of palms, cycads, flowering trees and shrubs, vines, and fruit trees. 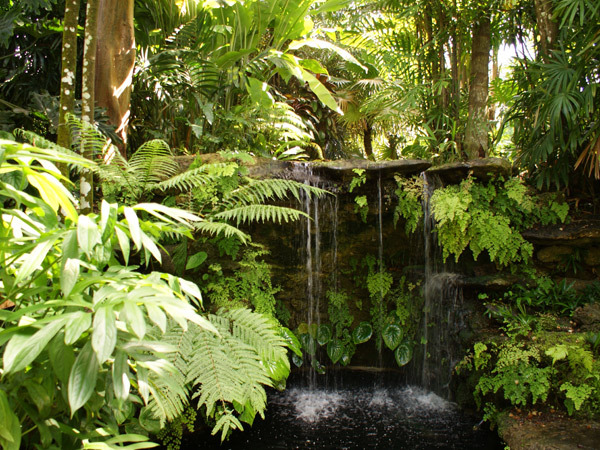 Fairchild is home to more than 6000 plant species, many endangered in their native habit. Benefactor Col. Robert H. Montgomery named the garden for Dr. David Fairchild, botanist and founder of the U.S. Department of Agriculture’s Office of Foreign Seed and Plant Introduction. 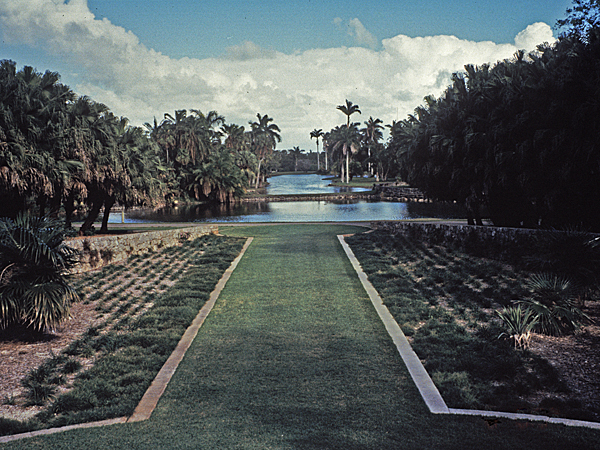 Landscape architect William Lyman Phillips, consultant to Olmsted Brothers and principal designer for Dade County Parks, directed the work over 28 years working with landscape architect Noel Chamberlin on the initial master plan. Phillip’s design, largely implemented by the Civilian Conservation Corps, is notable for its divergent experiences. 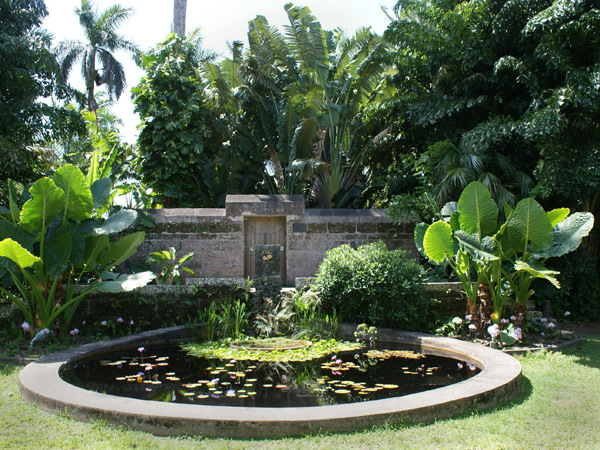 Throughout the garden, wide vistas and openings are contrasted with intimate, shaded pathways and garden rooms. Utilizing a bare rock escarpment that divides the property into upland and lowland sections, Phillips employed axial geometries and taxonomic families as organizing principles for the garden. 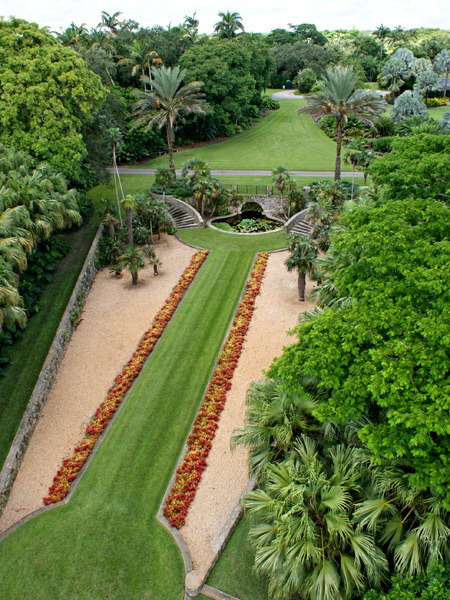 On the upper section, radial paths originate near the oolitic limestone gatehouse, pass through alternating grass lawns and pools, and converge in the Palm Glade overlooking expansive lowlands. 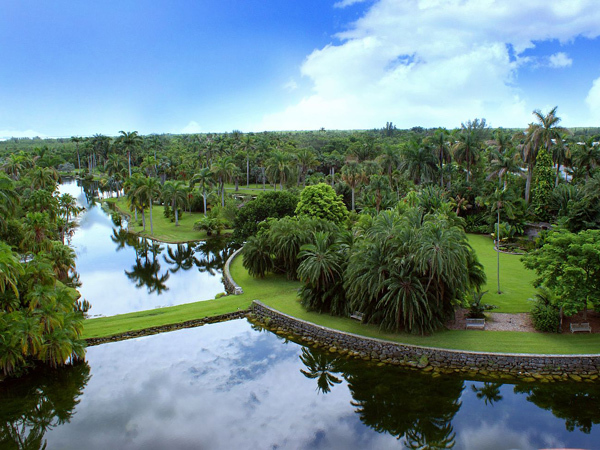 In the lower section, Phillips contrasted this densely planted formality with loosely structured open spaces and lakes drawn from natural sinkholes. 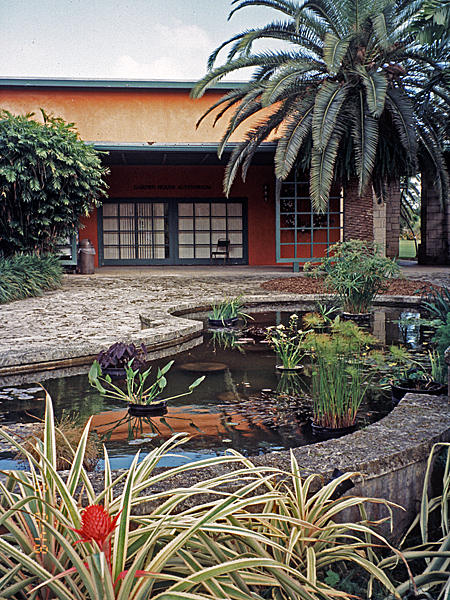 Formal plant massings found near the Garden Club of America Amphitheater are counterbalanced by naturalistic plantings near the Museum and Garden House, both designed by Robert Fitch Smith. 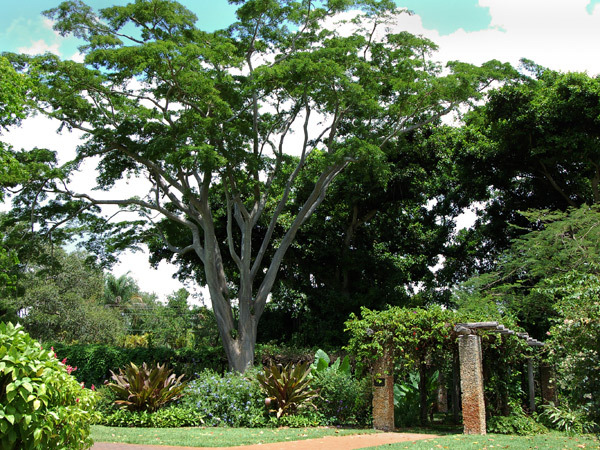 The 560-foot long stone and wood Vine Pergola near the Visitor Center, originally constructed by the Civilian Conservation Corps, was restored in 1994.